How does MoviePass top a devastating week that saw them temporarily shut down over a lack of money and then block users from seeing the biggest movie of the weekend, Mission: Impossible-Fallout? Easy, by raising prices and limiting access to more blockbusters, that's how. MoviePass parent company Helios and Matheson have announced a new plan to start in the next 30 days that will raise the price to $14.95 a month. They will also limit the ability to see first-run movies in the first two weeks if they open in more than 1000 screens. That could change if the company has struck some kind of promotional deal with a specific film, but for the most part that means all of the biggest movies are going to be substantially harder for MoviePass subscribers to see. The company also plans “implementation of additional tactics to prevent abuse”, and hope to cut as much as 60% of "monthly cash burn", which they hope will extend the service's lifespan and avoid more embarrassing headlines. 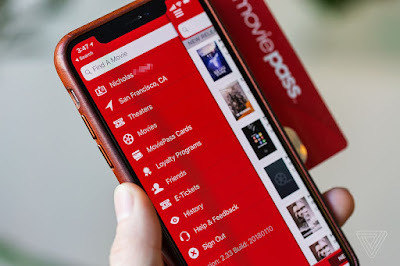 With so many other services popping up, is MoviePass still worth the investment? I know a lot of our readers have loved it and used it for all its worth, so let me know what you think.